Ferrari has produced many iconic Grand Touring cars over the years but when the 365 series went out of production in 1973 it left a gap in their staple GT market and it would be another 23 years till the next front engine V-12 grand touring car was introduced. 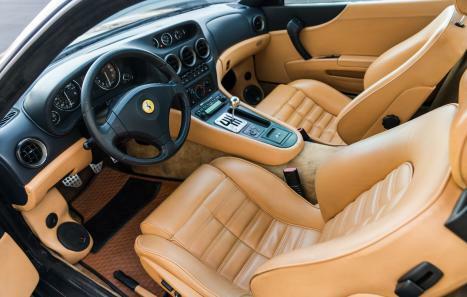 In July of 1996 Ferrari unveiled the 550 Maranello to the world, once again providing a lush driving experience with brutal acceleration to their adoring fans. 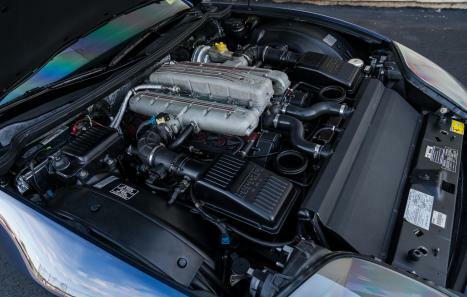 Fitted with a front mounted 5.5 liters naturally aspirated V-12 engine producing 478 hp at 7000 rpm the new 550 was capable of 4.2 seconds to 60 mph and a top speed of 199 mph. The 550 was received very well, garnering praise for not only its superb engine but its phenomenal chassis as well. This was apparent in the success that it had when built and campaigned by privateer racing teams, eventually leading Ferrari to produce a factory race car, the 575 GTC which was based on the 550's successor, the 575M. 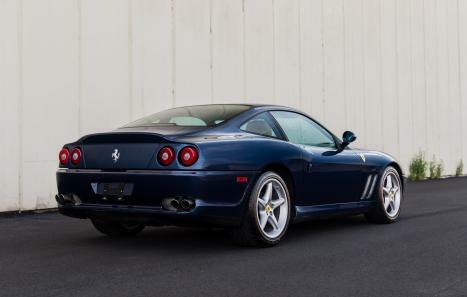 In total, approximately 3083 550's were produced between 1997 and 2001 when the 550 was replaced by the very similarly styled Ferrari 575. 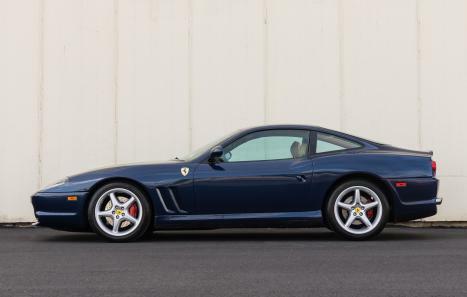 This particular Ferrari 550 Maranello, Chassis number ZFFZS49A410123565, is a 2001 model year with 24,765 miles from new. It is fitted with a desirable 6-speed manual transmission and is finished in Tour De France Blue with a tan leather interior. While exact ownership history is not known we do know that the car was delivered new by Ferrari Maserati of Ft Lauderdale. It later passed through 2 more owners in TX and IL before staying with it's most recent owner since 2010. During that ownership it appears a major belt service was carried out in 2012 and since minor services have been completed along the way. While the car runs and drives well, by time, it is recommended by Ferrari that the car receive another major service in the near future. This car would best be described as a driver quality example. While it remains a striking piece of Italian machinery with fairly low miles, it has numerous small blemishes and imperfections that could be corrected should the new owner desire. Please visit www.LBILimited.com for many more photos and details. Worldwide shipping is available upon request. Follow us on Instagram and Facebook @LBILimited.